The Day- 6 Asian Games 2018 turned out to be one of the most successful days so far. Indian players rowed 7 more medals in the Games in Jakarta taking their medal tally to 25. India won medals in tennis, women’s kabaddi, shooting, rowing on Friday making up to any of the previous losses on Day- 6 Asian Games 2018. The Indian rowers with a bang on performance started their day as they got three medals. Dushyant Chauhan bagged bronze in men’s Lightweight Single Sculls which was followed by another bronze by Rohit Kumar and Bhagwan Singh in men’s Lightweight Double Sculls event. The next medal came when the women’s Kabaddi team clinched on to their position by settling for a silver in Kabaddi with a score of 24-27 against Iran in the final. 10m Air Pistol Women event. Heena Sidhu settled for bronze in the 10m Air Pistol Women event maintaining her space in the games. 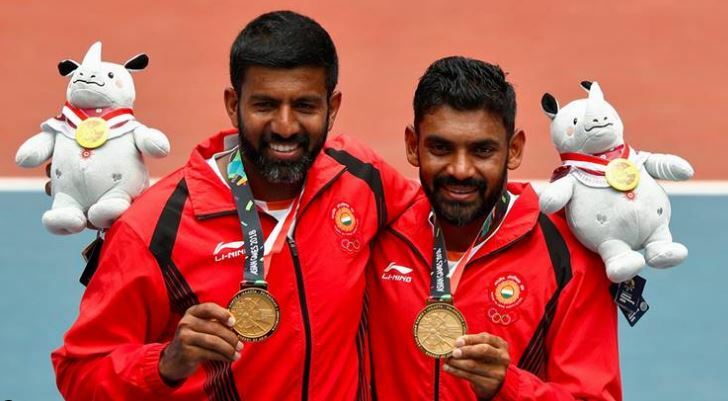 Not far behind, Rohan Bopanna and Divij Sharan won gold in men’s doubles tennis. The last medal of the day came from Prajnesh Gunneswaran. Although settling with bronze, he lost his men’s singles tennis semi-final. Thus, with a tally of 25 medals, Day-6 Asian Games 2018 ended happily.